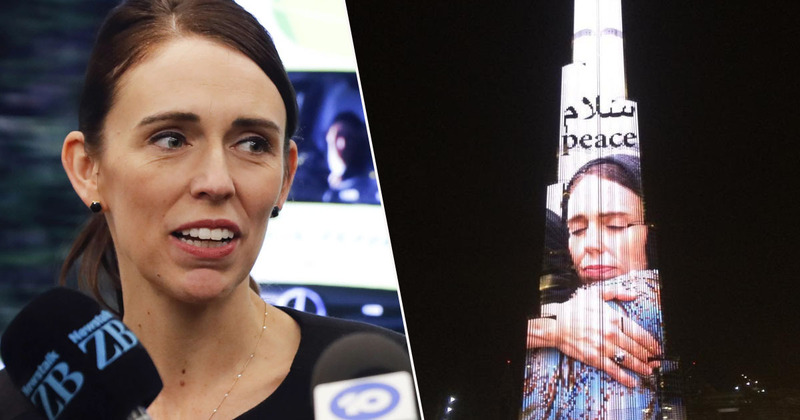 A photo of Jacinda Ardern was projected onto the world’s tallest building as a symbol of peace. Sheikh Mohammed, the Prime Minister and Vice-President of the UAE and ruler of the emirate of Dubai, shared a photo of the emotional tribute to Twitter yesterday (March 22), a week after the attacks which saw 50 innocent people killed in Christchurch on March 15. Friday’s call to prayer was broadcast nationwide on television and radio in New Zealand, and almost 20,000 people attended a prayer service in the park opposite Al Noor mosque, in a show of solidarity. Ms Ardern joined those at the vigil and lead a two minute silence in honour of the victims. She, along with many women all over New Zealand, wore a headscarf on Friday (March 22), to show solidarity with Muslims. Dubai’s tribute to New Zealand and Ms Ardern is a lovely way to help spread the message of peace.